The National League for Nurses has chosen twenty nurse educators as the eight class of fellows. They were all endorsed for induction into the prestigious Academy of Nursing Education. There were also two nurse educators who were named as honorary fellows, this is the category for nurses who have dedicated their life in educating nurses, those who retired from service, and those who have made a significant contributions and honor to nursing education. The induction ceremony will be held during the 2014 Education Summit on September 14 Friday evening at the NLN Banquet. This will be witnessed by the 187 nurse leaders in nursing education, health care professionals and other guests from other institutions. The review panel of the Academy of Nursing Education has to consider a vast number of things, like background, records, affiliations, etc of the prospected nurse fellow. 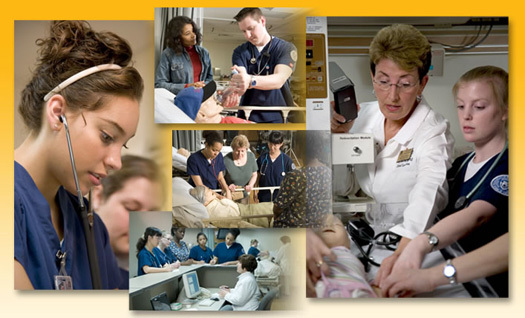 One of their criteria will be the applicants’ contributions and efforts towards innovative teaching/learning strategies; nursing education research; faculty training and development activities; leadership in the academe; being active in promoting the improvement of health care system or being able to collaborate with institutions and other partners towards the advancement of the nursing education. The Academy of Nursing Education was established in 2007 by the NLN in the year 2007 with the hopes of creating excellence in nursing education by focusing on the wisdom and skills of the nursing educators. The Chief Executive Officer of the NLN Beverly Malone, PhD, RN, FAAN, explained that the fellows will support the mission and the core values of the NLN and will assist in the work required to prepare graduates from the different types of nursing programs. The fellows will be the mentors of the next generation of nurse educators and for those in the clinical practice who wants to be a part of a nursing faculty.